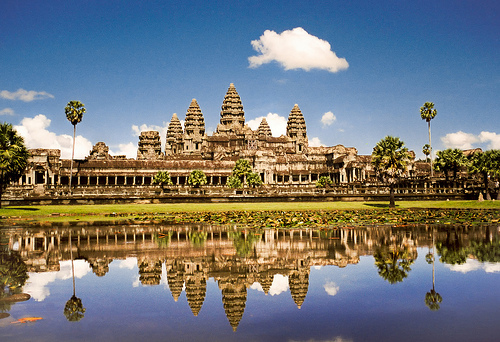 The tour is ideal for those want to capture best highlights of Indochina Peninsular in limited time budget. Leaving the ancient Luang Prabang to the North of Vietnam, the first place visiting is charm Hanoi capital city and enjoy the magnificent scenery of thousands of limestone dotted on the emerald water of Ha Long Bay – The World Heritage Site. 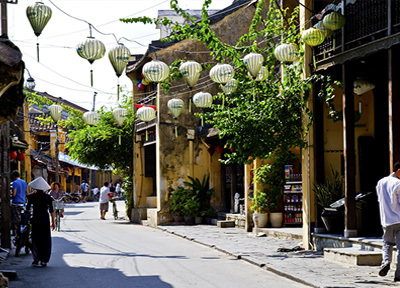 Moving to the country’s center, visit Hue - the cultural, religious and economic capital of the Nguyen Dynasty and World Heritage Sites Hoi An recognized by UNESCO. 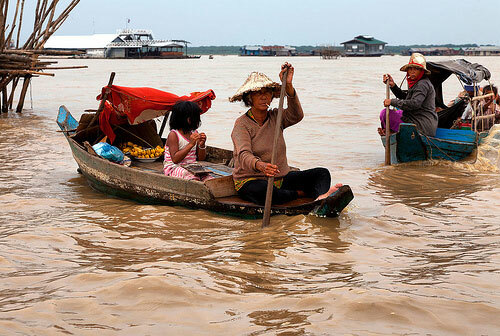 Come to the South of Vietnam, where we will have city tour of Ho Chi Minh city and massive underground Cu Chi tunnels used as a military base for the Vietcong in the American war, drive to Vinh Long to explore the daily life of people living along Mekong Delta and visit colorful Cai Be floating market. 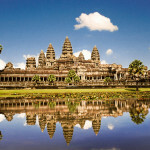 The end of the tour is Siem Reap, Cambodia to explore the incredible Angkor ruins with unique architecture art and mystery stories about it. Arrival Luang Prabang - one of the most beautiful places in Asia, which was the capital of Laos, and now is a mixture of preserved French colonial architecture and ancient Buddhist temples. After arriving at the hotel, we will make a photographic exploration of the local market and streets. 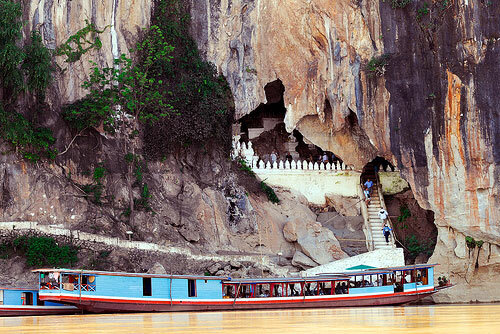 Theme gallery: mountainous landscapes, scenes on the Mekong River, people, markets. Get up early to photograph the daily collection of donations to many monks in the city. Basically the day will be done on foot through the city. 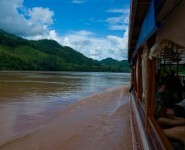 After breakfast, we then board a cruise upstream on the Mekong River, which also gives us a panaromic view of the tranquil countryside as well as an interesting visit to the mysterious of Pak Ou Caves, two linked caves crammed with thousands of gold lacquered Buddha statues of various shapes and sizes left by pilgrims. Along the way, we stop at the small village of Ban Xanghai, where the local rice wine is distilled. We return to Luang Prabang in the afternoon. We continue our excursion toward Khouangsi Waterfall, en route, we visit local villages of Lao ethnic minority groups at Ban Ouay, Hmong Village, Ban Ou, Laoloum Village and Ban Thapene, Khmu Village, then drive to the beautiful Khouangsi Waterfall where you can splash around in the turquoise pools or walk along the forest trails. The Khouangsi Waterfall setting really illustrates paradise. 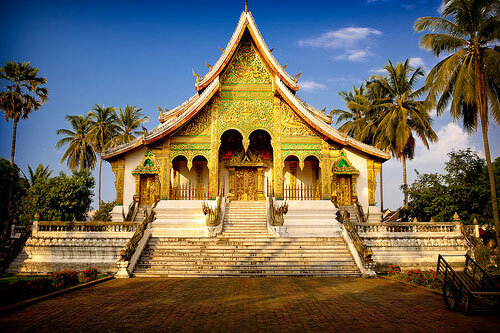 We return to Luang Prabang by late afternoon to the city by late evening to observe the sunset at Wat Phabath. Note: during the rainy season, the itinerary is subject to change due to the weather conditions, an alternative programme is available. .
Today we are free time at your leisure until your transfer to the airport for departure. Arriving Hanoi, check in hotel and take cycle tour around the old quarter of Hanoi and attend water puppet show. This morning, we start our journey to visit famous Ho Chi Minh complex comprising his Mausoleum, former residence, the impressive house on stilts and view the One Pillar Pagoda. 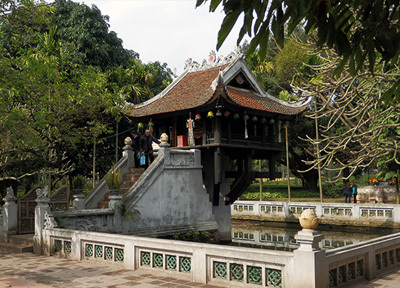 Learn more about the historical and cultural events at the peaceful Temple of Literature, known as the Vietnam’s first university since the 11th century. In the afternoon, we visit Ethnographic Museum. To finish the day off, we take an hour by cycle around the old quarter and attend the performance of the unique water puppetry. This is a must and will provide the first not to be forgotten insight into Vietnam. This morning, we depart for Halong Bay. Passing through the rich farmland of the Red River Delta, we enjoy the lush scenery and photo opportunities. We arrive at Ha Long Pier, board a traditional wooden junk and cruise through the spectacular sights of islands rising from the tranquil emerald sea. Enjoy a sumptuous on-board lunch of special seafood and explore Sung Sot Cave, one of the most beautiful caves in the bay. Witness a splendid sunset. Early morning coffee and tea will be served on the sundeck followed by a Tai Chi class. 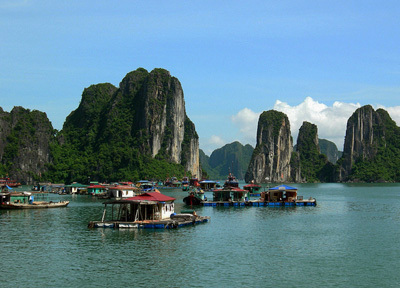 We continue exploring the magnificent Ha Long Bay. Change to a small motor or rowing boat to discover the Luon Cave and pass through a pretty entrance which leads to a tranquil round lake, surrounded by luxuriant trees and high stone walls. Upon return to the junk, a sumptuous combining Vietnamese and Western cuisine will be served. After we leave the cruise, we transfer to Bac Ninh province to visit Do temple and enjoy traditional music show “Quan Ho” or called Quan Ho folk song. Drive to the airport for domestic flight to Hue. We visit the impressive tombs of King Minh Mang and Tu Duc together with Tu Hieu Pagoda, and then cruise on the Perfume River to see the Old Thien Mu Pagoda. In the afternoon, we visit the Forbidden Citadel and the crowded market of Dong Ba, where we can bargain for anything from souvenirs and bronze goods, to Hue sesame sweetmeat and conical poem hats. 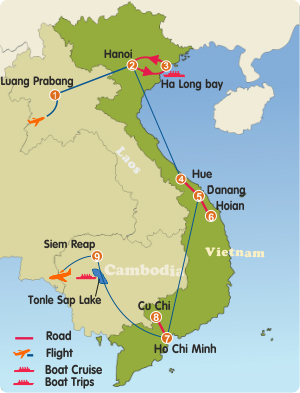 We will drive south to the famous My Khe beach, crossing the spectacular Hai Van pass to reach Hue. On the way, we will stop to see the Cham museum and Marble Mountain. Continuing on, we will arrive Hoi An, check in the hotel and free time. This morning, at 09:00 we will start our Hoi An Discovery tour. Hoi An seems to appeal to everyone. This charming town still retains a variety of heritage houses making a stroll around the streets a fabulous option. 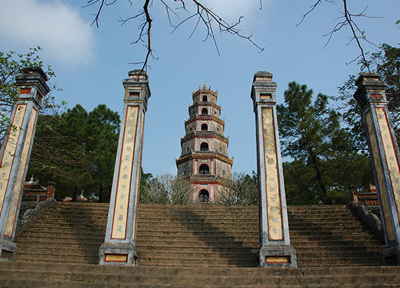 Guided tour of Hoi An sites includes the Quan Cong Temple, the Quang Dong Pagoda, The Phuoc Kien Pagoda, the Japanese Covered Bridge, the Tran Family Chapel, Sa Huynh Museum, and Phung Hung House. Back to the hotel and free at your leisure. Free at your leisure until transfer to the airport for fight to Ho Chi Minh City. Upon arrival, meet then transfer to the hotel. Overnight in Ho Chi Minh. 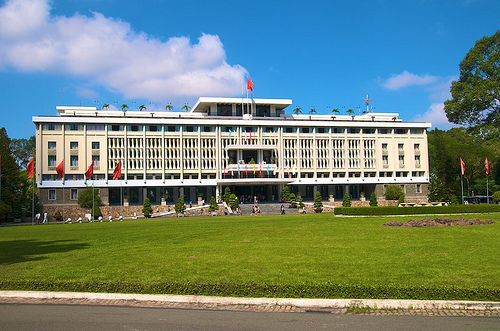 Today we have the opportunity to visit the controversial War Remnants Museum, the Reunification Palace, Notre Dame Cathedral and the Post office. In the afternoon, we will see Thien Hau Pagoda, Chinatown and its busy market of Cho Lon. This busy modern city on the Saigon River boasts some of the most ornate Pagodas in the country. Don’t miss Ho Chi Minh City’s atmosphere by night. This city lives up to its exciting and often mischievous reputation. Ovenight in Ho Chi Minh. 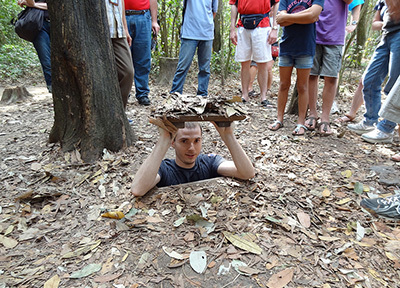 In the morning, we drive west to explore the underground tunnels in Cu Chi which were used by Vietnamese guerrillas during the war against the US and French forces then transfer to the airport for flight to Siem Reap. Upon arrival at airport, welcome by tour guide and transfer to hotel for check in. 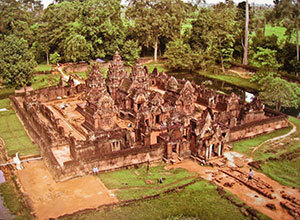 Visit to Banteay Srey temple, located 35 kms from Siem Reap, known as Citadel of Woman and Banteay Samre temples. 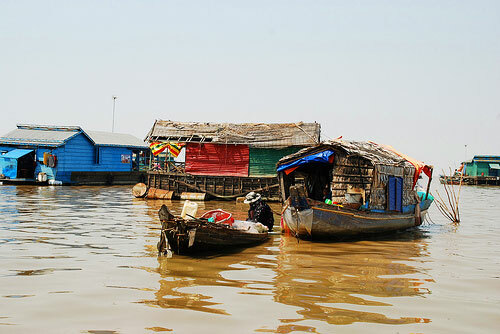 This morning we will enjoy a boat ride on the Tonle Sap Lake. This is the largest permanent fresh-water lake in South East Asia and flows into Tonle Sap River, joining the Mekong in Phnom Penh. We will see a fishermen's "floating village" with floating schools, floating police station, etc. It is same as a big village floating on the lake, and the "village" move from place to place following water levels and current. Transfer to the airport for departure flight. End of services.